At once slickly modern and touched by nostalgia, The Bridge Recording stands true to its name as a testament to bridging past and present. Sparing no effort or expense, owner/engineer Greg Curtis opened the doors of his dream vision in 2010. The 6,500 square foot scoring and mixing facility houses an 1,800 square foot stage with 23 foot ceilings, two large ISO rooms and a spacious control room. Among the equipment and decor are various nods to the past, none more prominent than the behemoth Neve 96-channel console with provenance from Paramount’s historic Stage M.
Besides being the home of the USC scoring sessions and the likes of Adele and Idina Menzel, the studio records a host of today’s top TV shows including “Da Vinci’s Demons,” ”Once Upon A Time,” “Constantine,” “The Simpsons” and “Marvel’s Agents of S.H.I.E.L.D.” to name just a few. 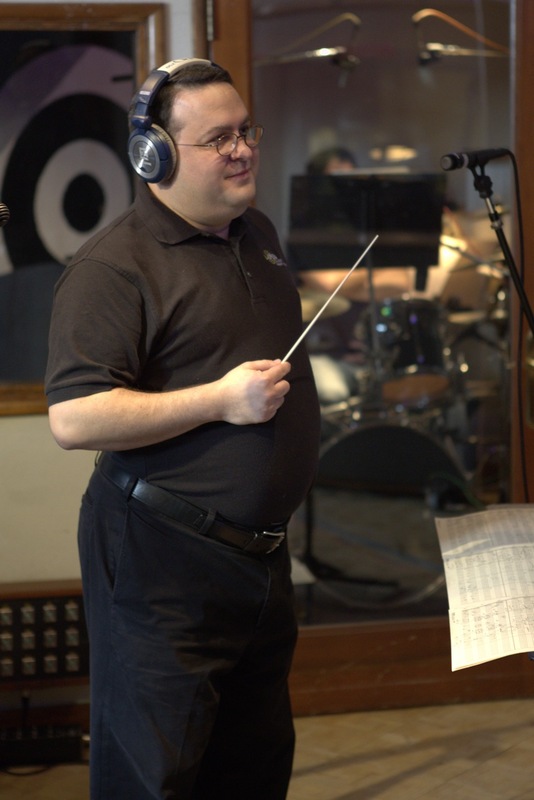 At a recent “Person of Interest” scoring session, Curtis welcomed interviewer Linda A. Rapka and photographer Erik Rynearson to share how The Bridge in just a few short years finds itself as one of the hottest recording spots in town. Tell me how you became involved in the recording industry. I’ve been a lifelong musician, a trumpet player, since 5th grade in Oshkosh, Wisconsin. That would set the trajectory for my life in music. I still play a little bit, but I spend so much time here and am mainly at home with my family and three kids, ages 3, 5 and 7. That’s prime time for me. I want to give them as much time as I can while I can. That’s a luxury to have. This entry was posted in All News and tagged #listenLA, Greg Curtis, Listen LA, Recording Musicians, recording session, Studio Musicians, studios, The Bridge, The Bridge Recording on December 29, 2014 by admin. 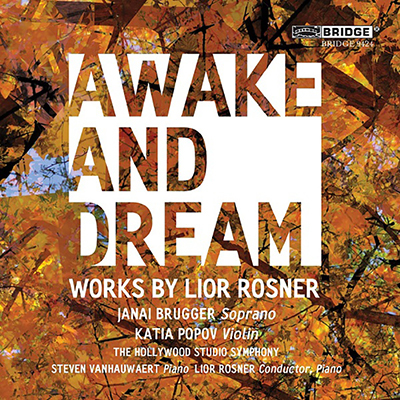 Since moving to Los Angeles from his native Israel, Lior Rosner has made a name for himself as a composer of rare versatility. Perhaps best known as the composer of the theme music for the “Ellen DeGeneres Show,” he has worked in film, TV and video games, and scored trailers and commercials for huge projects and brands. A graduate of the Jerusalem Academy of Music and Dance, he studied composition and theory with composers Haim Alexander and Mark Kopytman. After graduating, he moved to Los Angeles to pursue a career as a film composer. During his many years of success in this medium, he has continued to compose classical music, including chamber works that have been played by various ensembles, among them the Armadillo String Quartet and the Pacific Composers Forum. This entry was posted in All News and tagged CD, CD spotlight, Hollywood Studio Symphony, Lior Rosner, Recording Musicians, recording session, Studio Musicians, The Bridge Recording on September 30, 2014 by admin. At an advance screening for Lionsgate-released film “Step Up All In,” Hong Kong campaign supporters distributed leaflets to moviegoers in both English and Cantonese that described how the company is offshoring music jobs on U.S. taxpayers’ dime by accepting millions in tax subsidies. Photos & images: Courtesy Listen Up! Hong Kong-based Students and Scholars Against Corporate Misbehavior (SACOM) and several other Chinese activist groups have announced support of the American Federation of Musician’s Listen Up! 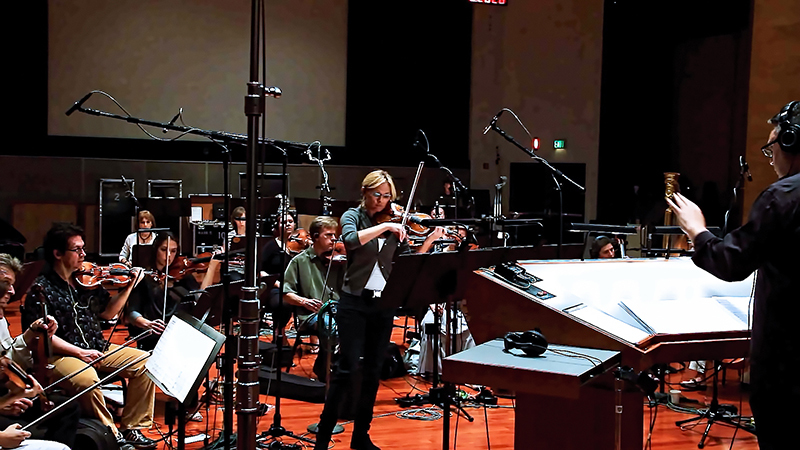 campaign calling to end offshoring film scoring jobs. This entry was posted in All News and tagged AFM, film music offshoring, Hong Kong, Lionsgate, Listen Up, organizing, Protest, Recording Musicians, SACOM, Studio Musicians on August 18, 2014 by admin. His web comedy series “Funny Boned” marks their third project together, and Hickey says he can’t imagine not using union workers – including musicians – for all his future projects. This entry was posted in All News and tagged #listenLA, Dan Redfeld, Funny Boned, J J Hickey, Listen LA, scoring session, Studio Musicians on June 10, 2014 by admin. America’s Got Talent… and talented Los Angeles musicians! Conductor/Arranger Marco Marinangeli leads a Local 47 string orchestra in the final recording session of the season for hit NBC reality series “America’s Got Talent” at Capitol Records Sept. 12. The show, created by famously crass English reality judge Simon Cowell, from seasons one through six were broadcast live from CBS Television City in Los Angeles. In season seven the live shows were held at the New Jersey Performing Arts Center in Newark, New Jersey, and for the current eighth season, live performances moved to Radio City Music Hall in New York City. During the Capitol Records scoring session, music director Graham Stack listened in from New York via Skype. This entry was posted in All News and tagged America's Got Talent, Capitol Records, recording session, Studio Musicians on October 15, 2013 by admin.